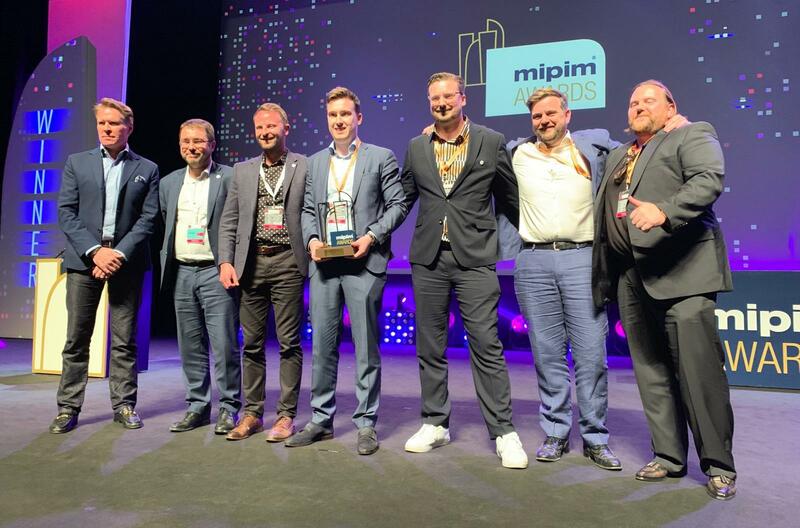 last night, FUTURE PARK won a major prize at MIPIM – having been voted as one of the best schemes on show at the annual property conference. FUTURE PARK will be one of the UK’s most significant cultural and energy-efficient attractions to be built in the 21st Century. Located in the heart of Yorkshire, England, this unique interactive park explores, unites and celebrates the best food & drink experiences in the world. The park, which is described as a synergy of architecture, landscape and infrastructure, is dedicated to sharing the biodiversity of cuisine whilst showcasing a range of innovative technologies with a special focus towards the environmental and agricultural sectors. Users are given the opportunity to submerge themselves within the park and enjoy the experience through its Farms & Livestock, Restaurants, Factories, Shops & Marketplace, Education, Research Facilities & Events. 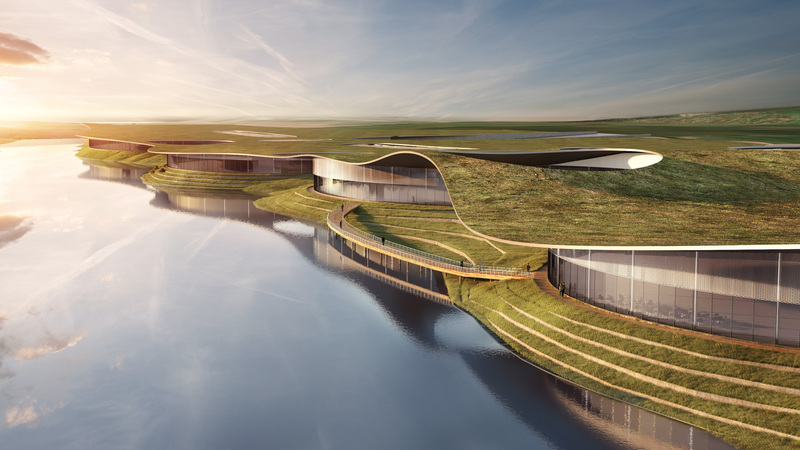 Inspired by the ‘dry valleys’ that define the local Yorkshire landscape, the structure is formed around an existing lake with an overall building form that seeks to become part of the natural landscape – rather than a statement object within it. 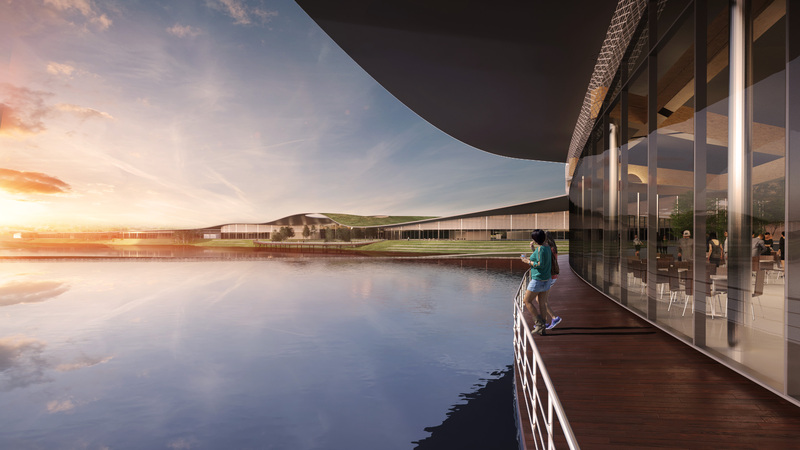 The low linear building hugs the edge of the lake – the lowest part of the site, – so maximising views across the landscape. Co-founder, James Mottram said: “Future Park showcases a whole range of innovative technologies from home and abroad, assisting economies locally by increasing the number of employment and businesses within the UK. The parks are a synergy of architecture, landscape and infrastructure – creating the most significant cultural attractions in the UK.